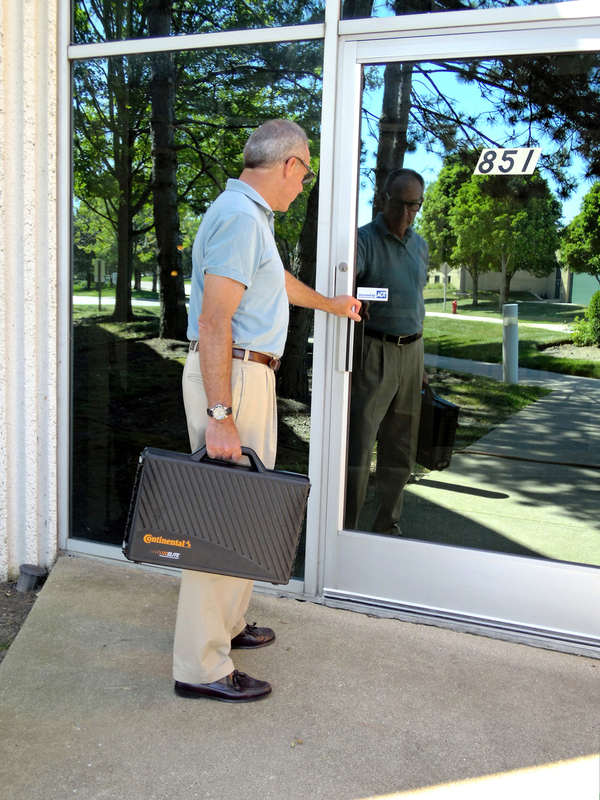 The V-belt features high-strength tension members that resist shock-load failure. Its low elongation properties assure uniform performance over the life of the belt. The tough, synthetic cogs and fiber-reinforced rubber helical cogs provide greater flexibility that reduces cracking and fatigue in the cushion section. The full V Design features rubber edges that maintain positive, no-slip contact with pulley grooves for reliable energy transfer. The Poly-V® belt features a tooth profile unique to the industry. Its advanced compounds resist heat and cracking to create a more flexible, cooler running belt for greater wear resistance. 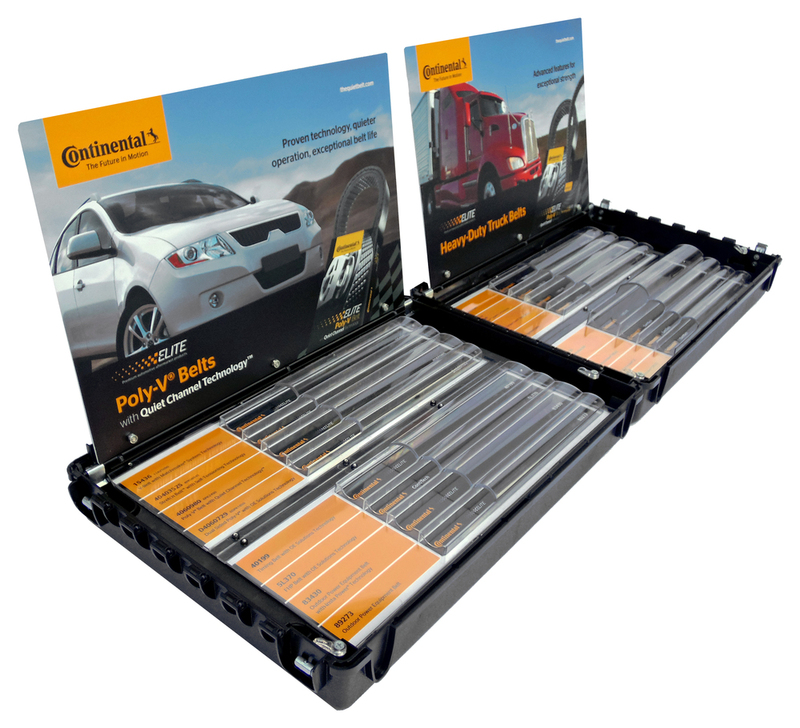 This innovative technology is trusted by professional race car drivers and their crews, used on today’s NASCAR® stock cars. 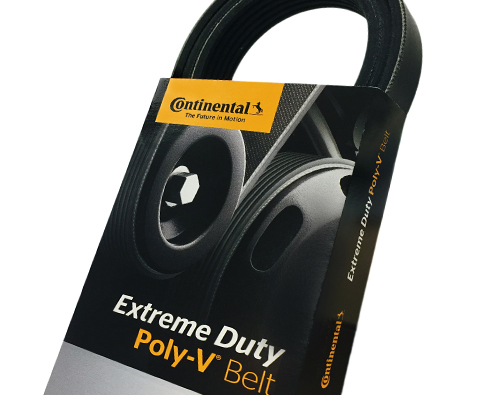 Continental’s Extreme Poly-V® Belt is more robust, has a longer life, withstands extreme temperature build-up (hot and cold) and contains an abrasion-resistant compound. Designed with modern diesel class 6 to 8 HD truck applications in mind, the Extreme Poly-V® Belt lasts for 1,000 continuous hours of extreme conditions before failing and has a 100,000-mile guarantee. The Stretch Belt utilizes advanced self-tensioning technology to eliminate the need for mechanical tensioners on specific applications. 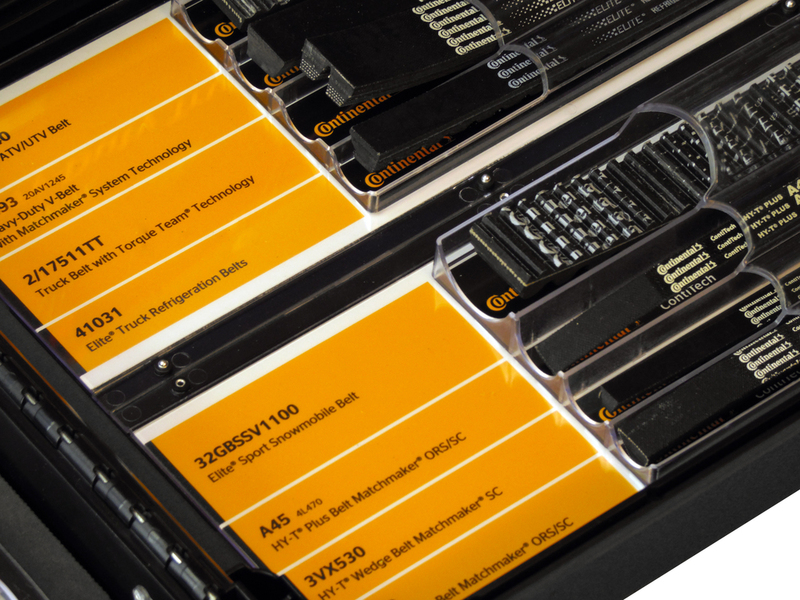 Its low module and high elongation technologies provide “self-tensioning” capabilities. Stretch belts are built with our Quiet Channel Technology™. Since the 1950s we’ve continued to provide quality products and the most advanced technology by staying true to our high standards of quality research, production and testing. Take a look at how the belt has evolved.